Anxiously awaiting the Audible release. I love everything you write! This was a good solid book! Mel and Pippa were wonderful together also. When is Book #2 ‘Fallen’ due out please? A great read and start of a new series. Waiting patiently for book 2. When is Fallen available? I don’t see it anywhere. Did you have a title change since the excerpt in Hidden? Love this series and its characters! Is that september 23, 2019 because I don’t see it available anywhere. Yes. Next September, and it should be up for preorder soon. I had never read you before, but I LOVED Hidden (5 stars) it was not your average romance suspence book.I lloved all the characters and especially the alcoholic,lipstick stealing,high heel wearing dog.I am looking forward to the rest of this series.ps: I have also purchase more of your books.Please keep writing I am facinated and intrigued by your writing. Will Hidden be released in audio? If so, any release date? Thanks!! 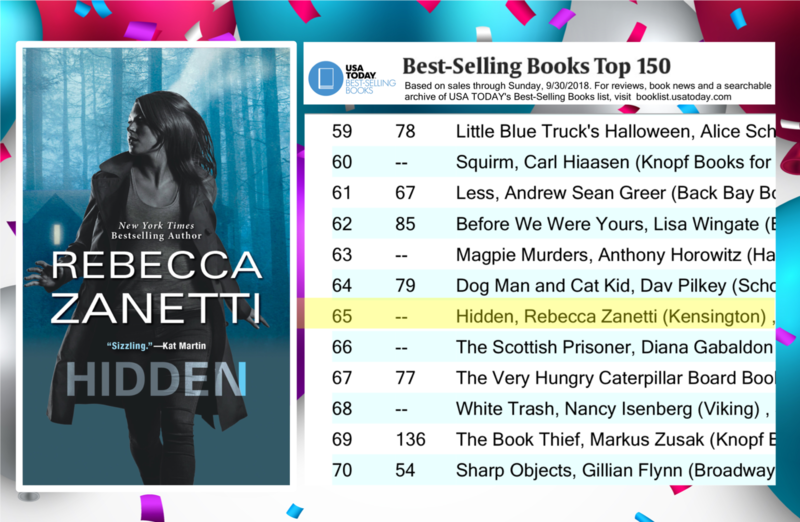 I just finished Hidden & loved it! When does Fallen release? I have put it on my mental list of books to read in 2019. I enjoyed all the characters, especially Roscoe & Kat. I can’t wait!